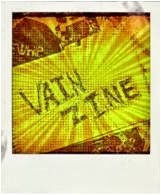 Vainzine: VERY GOOD TRIP hits the road! VERY GOOD TRIP hits the road! More than 400,000 unique visitors have followed the casting and the reveal of the candidates of the VERY GOOD TRIP! The adventure starts now for real. Motivated, enthusiastic, up to anything, the 8 European teams have just left for the road trip of their lives! Each week they must travel across one European country, win the challenges set for them but most importantly catch your eye with their personality because you decide who will win! By voting for your favorite team, you have the power to determine the winner of VERY GOOD TRIP. To win the challenges, the candidates have to give everything, pump up the adrenaline and go beyond the extreme. The objective is to succeed in each challenge and avoid the point counters to be blocked for 24 h! Vote for your favourite team at any time. These votes will determine the amount of points each teams get. At the end of the week the team that will have collected the highest number of points will win a great VIP moment. However, the team that finishes last each week will have to face a forfeit: a difficult moment for them indeed! Each day, 8 “DAILY TEAM UPDATES” are available on the VERY GOOD TRIP website. These programs will reveal 8 personal visions of Europe, stories and unusual scenes. And every Monday, the “VERY GOOD TRIP “ episode is shown featuring with all the best moments of the adventure and also the "TEAM "BEST OF". All in all, 13h of programme will be available to follow this great road trip! Join this exceptional adventure and vote for your favourite team, right now! And don't forget to join the Facebook fan page too!